The very first cover of Misja is a fact. 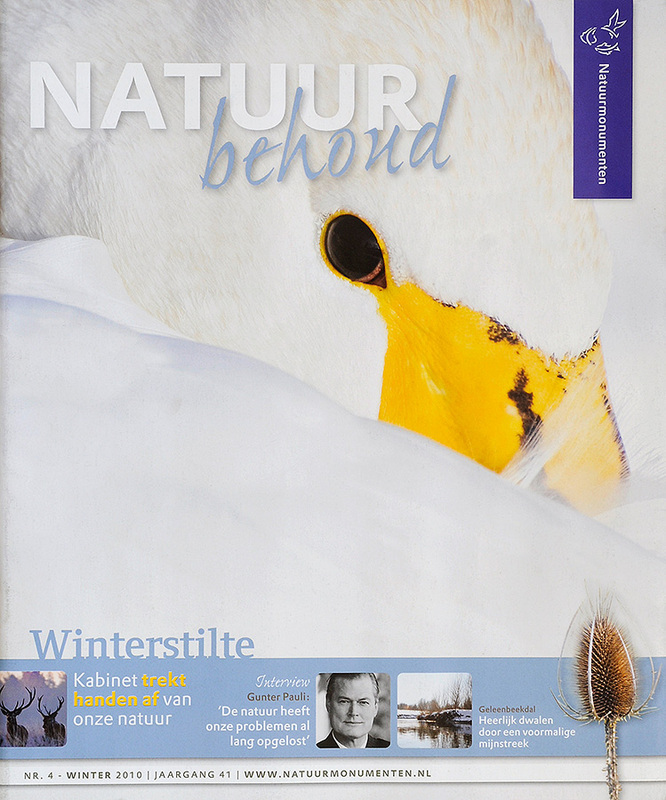 It is printed in the winter edition of 2010 of the Dutch magazine Natuurbehoud from nature organization Natuurmonumenten. It's a portrait of a Whooper Swan she took last winter. 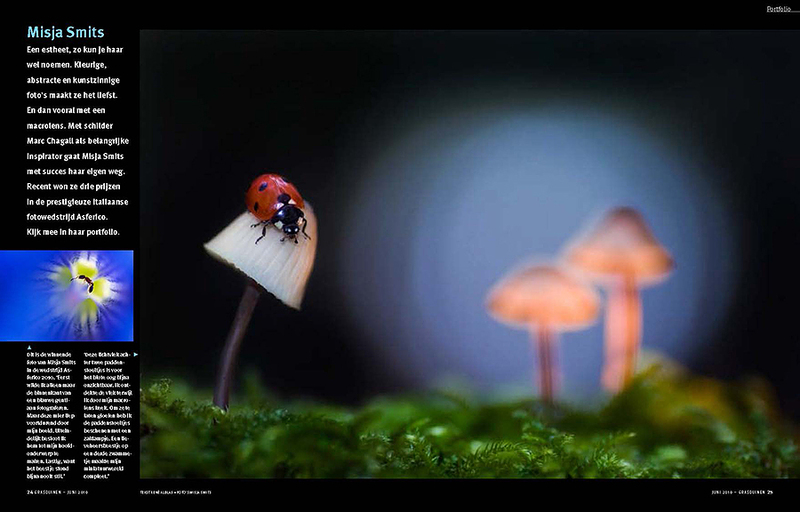 Misja is very proud to share with you her first national publication, knowing a portfolio of 4 pages in the Dutch magazine Grasduinen.